August light vehicle sales beat expectations by 5% (17.45 mil. vs. 16.6 mil), and were 9% higher than a year ago. Vehicle sales have registered annualized gains of almost 13% since the recession bottom, which occurred 5 ½ years ago, and have now staged a complete recovery, nearly doubling in the process, as the graph above suggests. 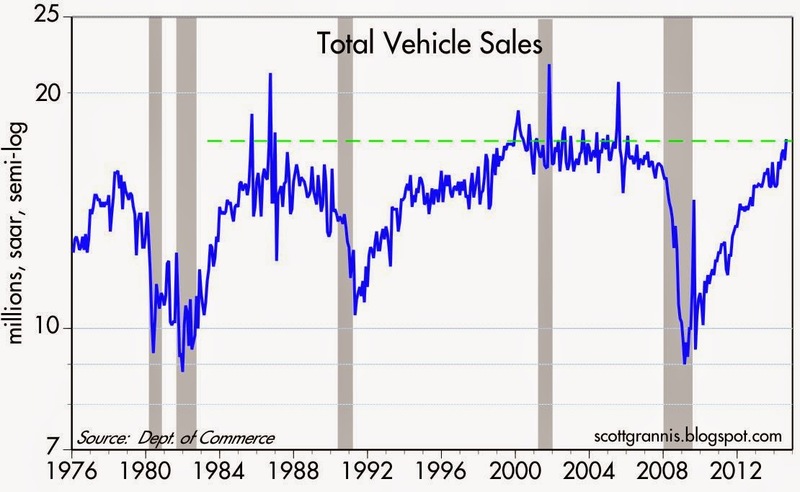 On a sustained basis, vehicle sales have never been stronger. There's still plenty of room on the upside. Because sales fell so much during the Great Recession and took over 5 years to recover, the average age of the U.S. auto fleet soared. It might take several years of sales as high as 20 million cars per year to get things back in balance. In the meantime, this represents a very positive change on the margin—much stronger than expected—which has ripple effects throughout the economy. 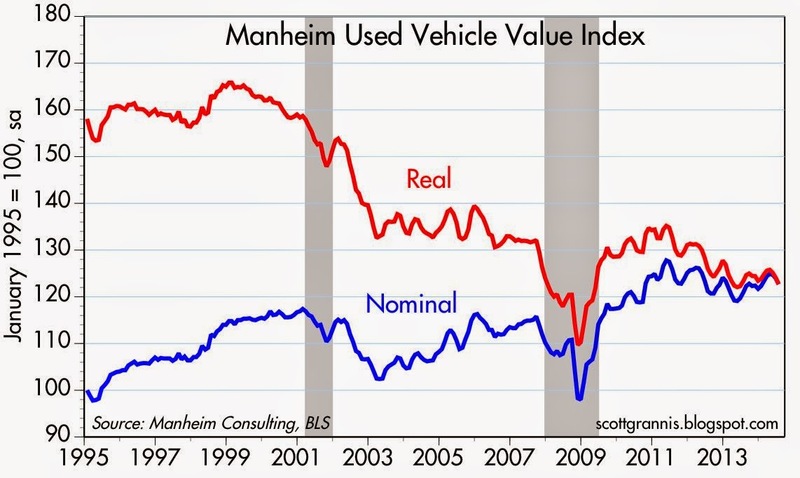 In related news, according to the folks at Manheim Consulting, used vehicle prices have been relatively flat for the past few years, and have fallen by 26% in real terms since their 1999 highs. The only time in recent decades that used cars were this cheap was during the depths of the Great Recession. Despite the relative "cheapness" of used cars, new cars continue to sell at a healthy pace.